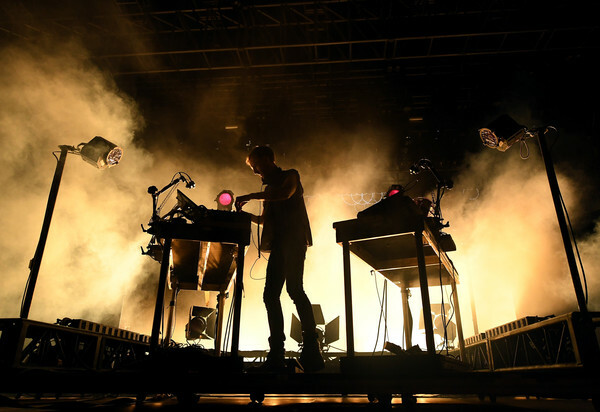 Richie Hawtin announces more dates for his live audio visual show CLOSE - Track? !D. Hawtin brings CLOSE to the Roundhouse in London and the 02 Academy in Glasgow. RICHIE Hawtin, the iconic electronic music artist and technology visionary, today announces two stand-alone UK shows of CLOSE - his award-winning audio-visual show which takes you closer to his unique way of performing. Thursday October 11, 2018: O2 Academy, Glasgow Promoted by DF Concerts. Friday October 12, 2018: Roundhouse, London Promoted by SJM Concerts and LWE. Hawtin said: “I have spent most of my life behind a table half-concealed. The CLOSE show removes the barrier between artist and audience and it feels like I’m in that moment with everybody else. It feels very powerful. If I can get to that point during the show with everybody, that’s why I got into this music. Being locked in this cloud of frequencies that feels like its from tomorrow; that you’re living in the future”. Tickets start on June 8 at 9am BST. Visit here.